Collins brings the Queen of Crime, Agatha Christie, to English language learners. 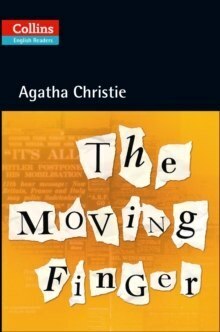 Agatha Christie is the most widely published author of all time and in any language. Now Collins has adapted her famous detective novels for English language learners. These carefully adapted versions are shorter with the language targeted at upper-intermediate learners (CEF level B2). Each reader includes: * A CD with a reading of the adapted story* Helpful notes on characters* Cultural and historical notes relevant to the plot* A glossary of the more difficult words Lymstock is a small town with lots of secrets. Recently several people in the town have received anonymous hate-mail. When Mrs Symmington receives one of the letters and then dies in mysterious circumstances, the people of the town no longer know whom they can trust. Who is writing the letters? And why? Miss Marple helps solve the mystery.